Nanjing authorities finally made a move on property prices this past weekend. And it’s likely that Beijing forced them to take action. 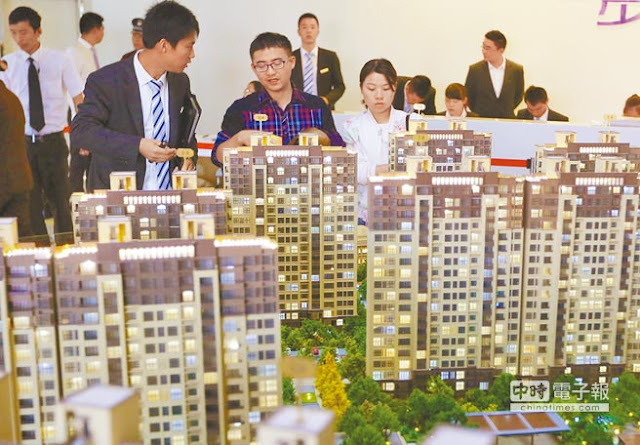 Nanjing decided to introduce restrictions on home sales by calling a halt to the frenzy that began last year and had continued unabated until just yesterday—when pretty much everything came to a juddering halt. Local residents of Nanjing--that is, those holding a bona fide Nanjing residency card--are stuck with the 2 homes they already have (1 of which they are almost certainly renting to those who cannot afford to purchase one for themselves). Those without such residency can stay with what they have or purchase a single new or second-hand home if they haven’t yet, but under the just announced regulations they’re unable to buy another. Interestingly enough, under the new rules, Nanjing residents aren’t allowed to purchase new apartments, but can buy as many second-hand homes as they want without restriction. 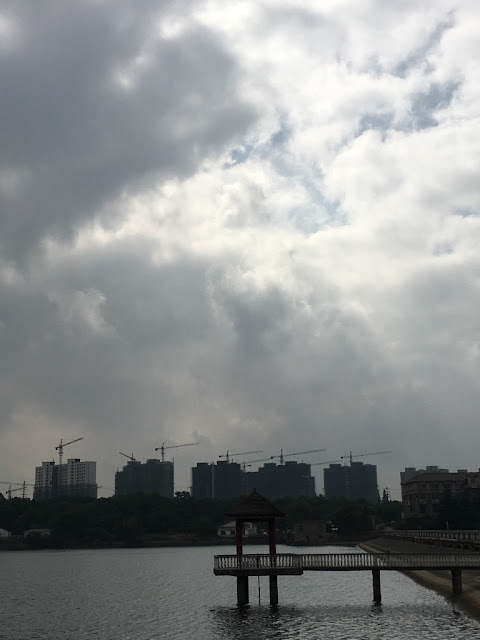 The logic is that speculators are buying new homes in Nanjing, fueling new projects and new land sales, driving up prices to new levels, and—more importantly by far--making the real estate situation far less manageable for the local government. At least that’s what the original announcement in the Nanjing party newspaper said—that “to continue to guide rational housing consumption, and further promote the stable and healthy development of the city's real estate market, in accordance with the current situation, the city government introduced [this change] in the main urban housing purchase policy.” Nanjing government officials aren’t that worried about inflation, because while some purchasers aren’t pleased with the rise in property prices, a robust market of any sort is welcome news in a province that’s not been immune from the nation’s economic doldrums. What really began to concern Nanjing decision-makers was the volume and pace of purchases—the buying-and-selling fever—that threatened to take control of the property market out of the hands of the government and developers. It’s a matter of political reputation, as the property market started to become an independent force--and made Nanjing officials look like they didn’t have the power to manage it. The good news is that the Nanjing government is full of very smart people, who are in touch with what transpires here daily, and that perception worries them. They couldn’t avoid knowing about the local fixation with property and prices even if they wanted to—and they didn’t; every bus stop, subway platform, street crossing, sidewalk, and meal in Nanjing contains conversations about apartments and their pricing. What Nanjing officials had been trying to do is to get back some leverage over the market, and convince both the central government and their citizens that they knew what they were doing, that they were in charge. But trying to change course wasn’t easy. Many in Nanjing benefitted greatly from the rise in real estate values, and so the perceived need for local government intervention was low. At the same time, Beijing was starting to grow more anxious. So, in August, the local government reluctantly raised the level of down payment for current owners buying a second home to 50% of the purchase price—a cute move because it was already at 45%, so that was more of a signal to Beijing that local officials weren’t ignoring the situation but that at the same time they hardly considered it critical. Call it a balancing act, a tightrope walk—whatever the metaphor, Nanjing officials were caught, as cadres here always are, between local needs and central demands—the political dilemma that challenges them daily. Somewhere in recent days (probably because Li is abroad and Xi had a more open field where economic decisions are concerned), the central leadership must have come to a consensus that Nanjing authorities had to act far more aggressively than they had been; that local rumors and rhetoric here were only making people look to buy more property, not less, and there was too much uncertainty. Plus, there’s a political cohort here in Nanjing that already agreed that the local property market was getting overheated; there were also developers tired of being shut out of an auction process slanted towards a select well-connected few. Complaints about the unpredictability of property prices and the difficulties for some of finding affordable housing were growing too. So Beijing was able to push Nanjing to be more regulatory now, instead of continuing to move in piecemeal fashion. Which is, in fact, nonsense, because everyone here at least knows that Nanjing’s property problem isn’t national but local, specific to the city and its suburbs, and not something that the central government understands, much less fix. Nanjing has been a magnet for migrants in Jiangsu (the city population stands at 8.2 million, a 16% increase in about the last decade), and the government has looked to expand its administrative control to gather more land outside the metropolitan area to sell as property as other sources of revenue have declined. Nanjing was calling for nuance and a free hand—something that makes Beijing very nervous. And after all, if Nanjing officials thought that Beijing’s diagnosis was accurate, Nanjing Daily would have run Monday’s editorial from People’s Daily, which argued that the run-up in real estate prices and the public fixation with property was “a deviation from the real economy.” That editorial didn't appear, and that’s probably because many officials here believe that it’s been Beijing’s blindness to local economic development issues that’s largely responsible for people running to property for financial protection. What Nanjing officials did this weekend—abruptly, unexpectedly and decisively—wasn’t aimed at carrying out reforms, but compelled to get control through controls, and to get Beijing off their back. They think that they’ve pretty much done so, even though some cadres here probably wanted to make their case at the upcoming Party plenum a month from now before being forced to move so sharply. The bifurcated regulations distinguishing residents and non-residents, new and second-hand homes was likely the compromise that Nanjing insisted on, to yield to Beijing's directives to do something, anything, that would calm what the latter saw as a gathering storm in real estate here. Nanjing authorities know that this isn't turmoil that Beijing is seeing but something of an actual market at work; that there are local stakeholders--including citizens--who see price rises as good things. Acceding to Beijing won't make local officials all that loved. How these actions will play out economically is unknown at this point. But there’s a larger battle beyond Nanjing that’s about to start. Beijing finally got local officials here to move more forcefully, and it’s looking like they’ll try the same in other cities shortly. There might be good economic logic at work in trying to rein in the real estate frenzy, but property has become the main engine of economic propulsion in local China, in large part because the central leadership has yet to produce an alternative model for economic growth. Convincing officials in China’s provinces and localities that Beijing knows best won’t be easy. But then it rarely is. The new challenge will be preventing that ongoing tension from growing any uglier.